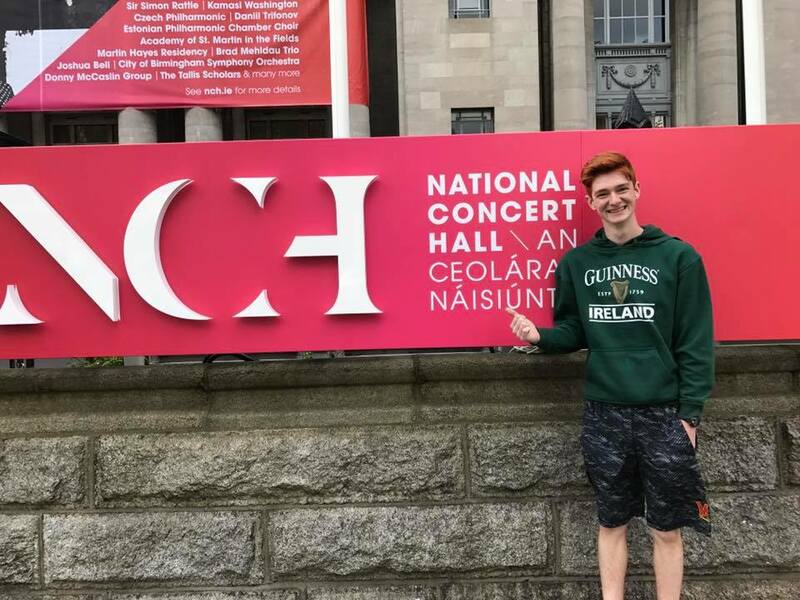 Tyler Chartash is from Maryland, USA and he undertook a summer internship with Chamber Choir Ireland as part of the EUSA programme which builds and implements customised, academically-directed internship programs in Europe for educational partners. He wrote a blog post halfway through his internship which can be read here The following blog post covers his last few weeks in Dublin. My time here in Ireland is drawing to a close and I am set to depart back to the United States this weekend. Now that I have lived in Dublin for two months, I forget why I was nervous to arrive here in the first place. I am going to really miss Ireland and the many unique things that I have grown accustomed. I will miss cars driving on the right side of the road. I will miss the friendly Irish people and I will miss the fun pubs. I will not, however, miss the giant hoards of Spanish students all wearing the same backpacks and taking up the entire sidewalk, while never speaking a single word in English even though that is what they are in Dublin to study. Now that it is time to leave I feel as if I was never supposed to be anywhere other than Ireland. After all, my hair and pale complexion do let me fit in perfectly with the natives. In fact, a family from London assumed that I was Irish after talking to me for twenty minutes last week. In Dublin, I have finally figured out the bus. It only took me a month of trials and tribulations causing missed buses and multiple cases of travelling in the wrong direction but I have finally conquered the system. To and from work I have two available bus options. I also have contingency plans in place for when I mess up and miss those bus options. The reason I make such a big deal about finally figuring out Dublin’s bus system is that it truly was the most difficult thing to adapt to when I moved here. Not even work was as hard as the buses. At work, I was recently sent on a scavenger hunt throughout the city. I received a list of nine destinations and was tasked to deliver flyers and posters for Chamber Choir Ireland’s upcoming concert Visions (Performance at St. Ann’s Church on Culture Night). As I Google mapped my way around the city from shop to shop it felt like the perfect tour of Dublin to wrap up my summer abroad in the city. I travelled to both the north and south sides of Dublin and walked down streets that I would have never gotten a chance to see. Every time I turned around I saw something new and unique about Dublin, proving even two months in the city is not enough time to really discover a city. I guess that just means that I will have to come back soon.